Laurie Here - Contemporary Fiction and MORE - Book Reviews: #StackingtheShelves #45 blog updates and week's end! 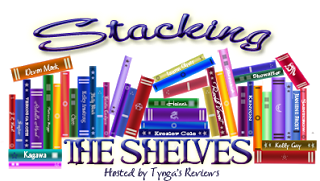 #StackingtheShelves #45 blog updates and week's end! I did NOT accept any books for review this week. Why not? I am overflowing with books! I need time to be able to read them and write the reviews! I hope you understand! It's almost as if every other week I get books now! Who is watching the Olympics? I AM! I LOVE these games! I can't do what ANY of them can, but WOW!! To watch them compete is amazing! I can't wait for Gymnastics!! I HOPE we can do what we did the last time!! The French War Bride by Robin Wells HERE! Watching Edie by Camilla Way HERE! AND if you liked Watching Edie, you can ENTER TO WIN THE BOOK ON GOODREADS for another 14 days and almost 14 hours as of the time of this writing! ENTER HERE! And if that link does not work, then go to your Goodreads page, sign in, type in the book name, and when it comes up, scroll down and look on the left side! You'll see the entry form! Good luck!! GIVEAWAYS - Watch for the $250 Cash Giveaways! There are several I am in, so watch for them!! They ARE coming!! I think the first one is this or next week - watch my posts or my Facebook page!
. . . but what did I read accidentally? The One Man by Andrew Gross! Releasing on August 23rd. I won't be able to fit in one of those listed books, but I can't decide. I can TRY HARD, but I really want to watch Gymnastics on the Olympics tonight. UGH!!! This is the first time I've read the wrong book for it's release date! LOL! Oh well, this book IS GREAT!!! I'll figure this out! Now, on to link-up to the linky and visit some of you! WOW!! Thank you SO much for the info so I can make my button's HTML coding!! I'm SO excited about this!!! Thank you SO much for sharing that info with me!! You're a dear!